LEGO® DC Comics Super Heroes: Amazing Battles! Discover a thrilling new world of action with the latest 2015 LEGO DC Comics Super Heroes. 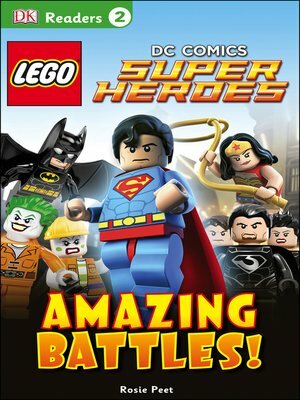 Featuring a host of fun characters, DK Readers L2: LEGO DC Comics Super Heroes: Amazing Battles! showcases some of DC's most notorious villains as they plot yet another evil scheme. Dynamic images and scenes and clear text help children to improve their reading skills.